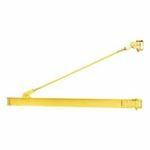 A wall mount jib crane is a type of jib crane that is installed on a wall or a column. It usually has a rang of rotation of 180-200 degrees, perfect for a circular work area. 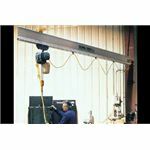 A wall mount jib crane does not necessarily have to be installed on a wall. 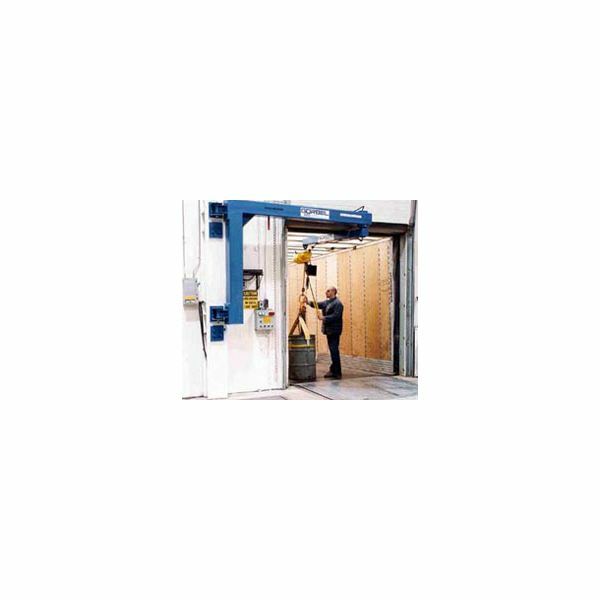 It can be installed in any strong part of a building such as a column. These are some recommended jib cranes that can be mounted on walls and columns. 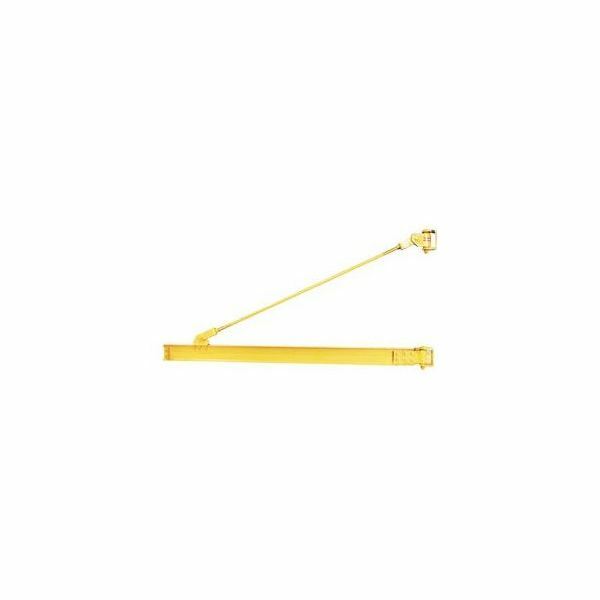 This under braced jib crane is mounted on the wall and is made of sturdy steel. It can do a 180-degree turn, giving it the maximum range of movement for equipment mounted on a wall. It can be installed on any structure and not just on walls. This means building columns can also be used to provide support for this jib crane. 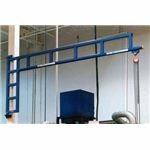 This wall mounted jib crane is supported from above with a top brace. It has a 180-degree rotation that offers users a full range of motion when they are working near a wall or a structure. 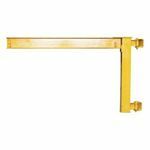 It can be mounted on a wall or any other substantial structure in a building such as a column. As long as it is a strong structure that can support the force exerted by the jib crane, it can be used as a base for this jib crane. It is designed with a yellow enamel steel finish to keep it standing out visually, making it as safe as possible for all users. 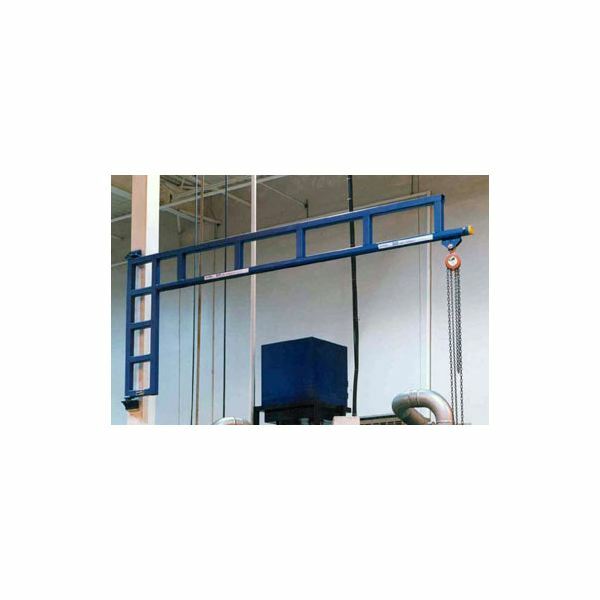 This jib crane can be mounted on a wall or any substantial structure in a building like a column. It has a 200-degree range of rotation with the primary boom. It can support up to 2,000 lbs. of weight. It is designed for purposes where the jib crane needs to be rotated close to the pivot point while moving around obstacles. 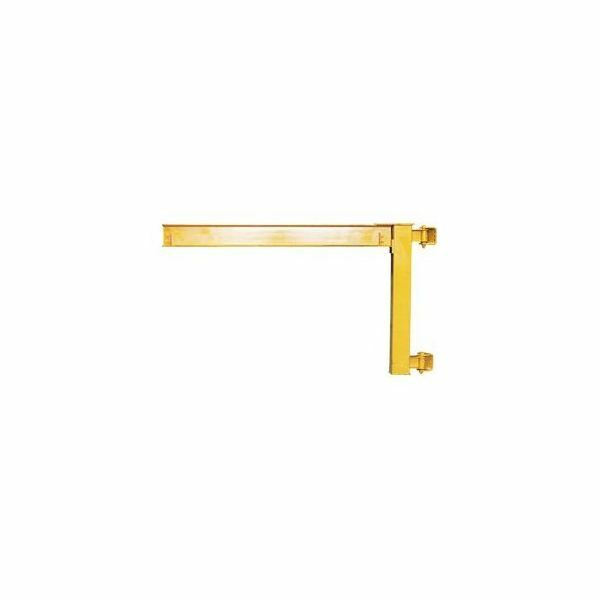 For an industrial equipment that is mounted on a stationary position in a wall, it is very versatile in movement as it can reach into machines, doorways and around corners. 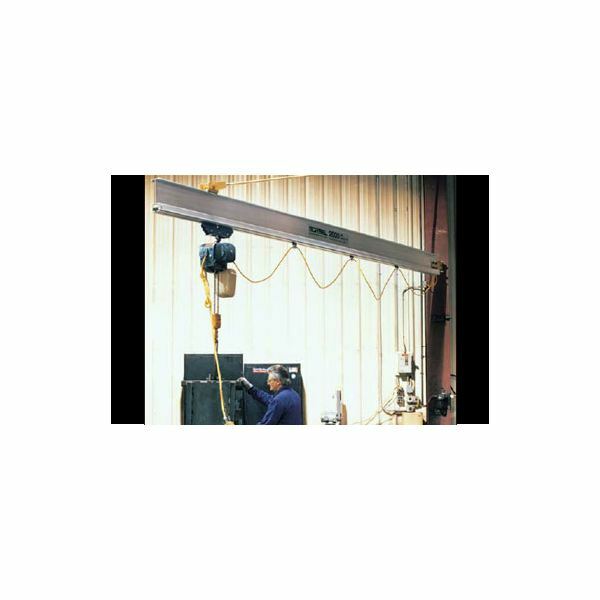 This jib crane has a lifting capacity of up to 1,000 lbs. Its span ranges from four to six feet. Its rotation range covers 200 degrees. This range of rotation makes it an ideal tool in work stations with a circular area. 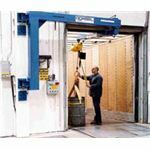 It is also ideal for supporting vacuum lifters, hoists and supporting balancers. This versatile equipment comes with accessories including festoon clamps, festoon gliders, festoon trolleys, flat cable, air hose and air swivel. This jib crane that is made from strong aluminum can carry weight from 250 lbs. to 2,000 lbs. It has a span of four to 20 feet and its rotation reaches up to 200 degrees. It may not look much since its aluminum design gives it a lightweight look, but it is pretty strong thanks to its enclosed track design. This design lets it reduce the boom's rotational dead weight by as much as 68 percent, which means the jib crane is around 40 percent easier to rotate than normal. Full control is provided by the tie rod design. These are five great examples of a wall mount jib crane. They are designed to offer a full range of rotation even when mounted on a wall, making them very efficient to use when moving large objects around. You may also want to check another Bright Hub article on Jib Cranes for Cameras.